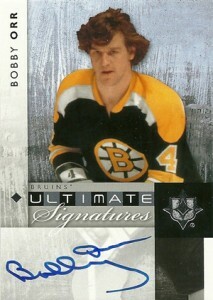 One of the key ingredients to 2011-12 Upper Deck Ultimate Collection Hockey is the deep autograph checklists. 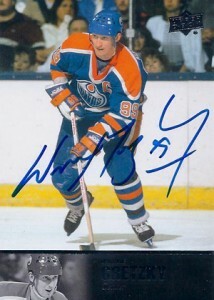 Although most come serial numbered, a couple of the most popular signature inserts do not. Both 1997 Legends Signatures and Ultimate Signatures have loaded lists of Hall of Famers and hobby favorites. But there may be some speculation as to how may of each card exists. While we do not have exact production numbers, below is a list of the 2011-12 Upper Deck Ultimate Collection Hockey autograph short prints. Upper Deck confirmed the groupings and insertion rates through the set's final checklist. When checking for short prints, be sure to note the teams as some players have multiple cards but with differing rarities. Overall, cards are inserted 1:15 packs. Overall, cards are inserted 1:2 packs.